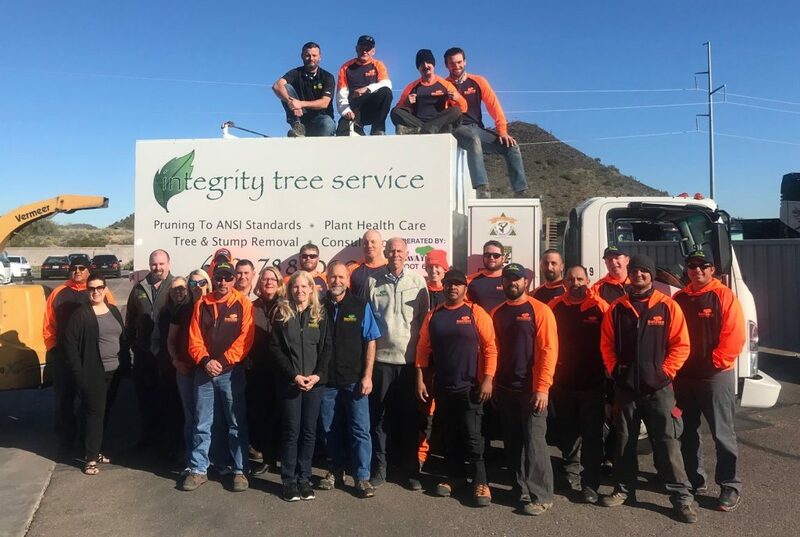 Integrity Tree Service Joins Forces with SavATree! Roy Maxey – serving properties in Central Phoenix and the West-Valley Cities including Peoria, Paradise Valley and Glendale, AZ. Sarah Maitland – serving properties in North Scottsdale, Cave Creek, Carefree and Anthem, AZ. Andy Cruz – serving properties in South Phoenix and Central and South Scottsdale, AZ. Each certified arborist working out of SavATree’s Phoenix, AZ branch is qualified to treat conditions unique to the Phoenix area. Our arborists provide tree removal, tree trimming and tree pruning, tree fertilization and many other tree services to clients in the area. If your property is in need of care, don’t hesitate to call our office today for a free consultation from a certified arborist! Interested in a Phoenix, AZ tree or lawn care job in our industry? Learn how you can build your career with SavATree at savatree.com/careers/. "We had several trees that needed to be removed. One tree in particular had partially fallen on a neighbor's roof. We were anxious to have this tree removed. We called 3 companies, and chose SavATree. Domenic Bello came within a couple of days of our call. They were respectful of our yard and the neighbor's yard and roof. They worked in a timely manner. All debris was removed. We were pleased with SavATree's work; we highly recommend them." "Out of 3 city recommended arborists, you're the only ones who showed up to review the property with us in person! Byron went through the trouble of identifying other issues that could create a problem for us in the future, which no one else bothered to point out. The entire process with you all was convenient and extremely helpful, it was a no brainer to go with your services! We'll definitely use and recommend your services in the future!"